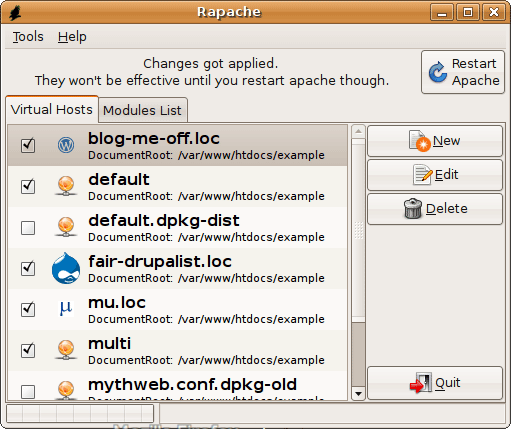 For people who like the idea of VirtualHostX but want to setup virtual hosts on Ubuntu rather than Mac OS X, Stefano Forenza has created the Rapache project. Like VHX, Rapache is a GUI to manage Apache virtual hosts. With just a few clicks you can create a new host and the appropriate DNS settings for local development. This entry was posted on January 14, 2009 by thall.